The holiday season often comes with pressure to feel joy, love, and happiness. For those who have left a relationship during this time of year, including survivors of relationship abuse, feelings of loneliness or isolation are sure to creep up. Yes, this is normal. But know that you don’t have to be in a relationship, especially an abusive one, to have happy holidays. You deserve connection and comfort and we have seven great ways for you to have just that this holiday season. If loved ones aren’t near, then go to them, and if possible, bring someone along for the ride. Your children, a friend, another family member, or even your pet can be a good road trip companion. With all the available technology these days, you don’t have to travel across the country to be close to those you love. Video call on skype, Facetime, or Facebook video call and spend a few hours chatting, watching the same movie, or simply going about your motions as if they are there. They may not physically be in the same room, but you will feel their loving company as if they are. When at a gathering, surround yourself with positive, supportive people. Offer your help in the kitchen and fill any void you may be feeling with holiday joy and food preparations you can bond over. Get together with a friend, especially if you haven’t spoken to them in a while. The instant joy you’ll hear on the other end of the phone when you reach out will make you feel connected again and the good company will help rid you of feelings of loneliness during the holidays. If you’ve recently left a relationship, your home can feel empty. Fill your home with friends and loved ones for a holiday get together. Seeing all the people who love you will make you realize you’re not alone this holiday season, and give you strength to get through the tough times. Combat the stressors that come with this time of year by taking extra good care of yourself. Remind yourself to put your health and wellness first and hold yourself to it. Lather on a nice face mask and take a relaxing bath, light a candle, or go for walk in a festive part of town. Putting yourself first will reinforce your confidence and self love. Donate your time and energy to a nearby shelter or women’s group. Being around people who understand your situation can open your mind to gratitude, help liberate you from that isolated feeling, and put positivity into perspective. A happy holidays season does not require you to be coupled up, especially with an abusive partner. Your happiness and wellbeing is the greatest gift you can give yourself. 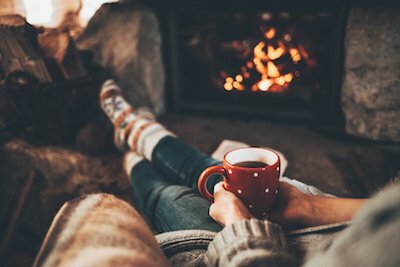 As a strong and independent woman you deserve joy, healthy connection, and comfort and we hope that with these tips you can achieve it for yourself this, and every, holiday season.